A tribute to an old fellow, parting from Office365 world , a public facing Office 365 site like you never experience. Single click deployment. What is corporate site template App? It’s a simple provider hosted SharePoint app that will convert your SharePoint public facing site, or your publishing site to a responsive site. 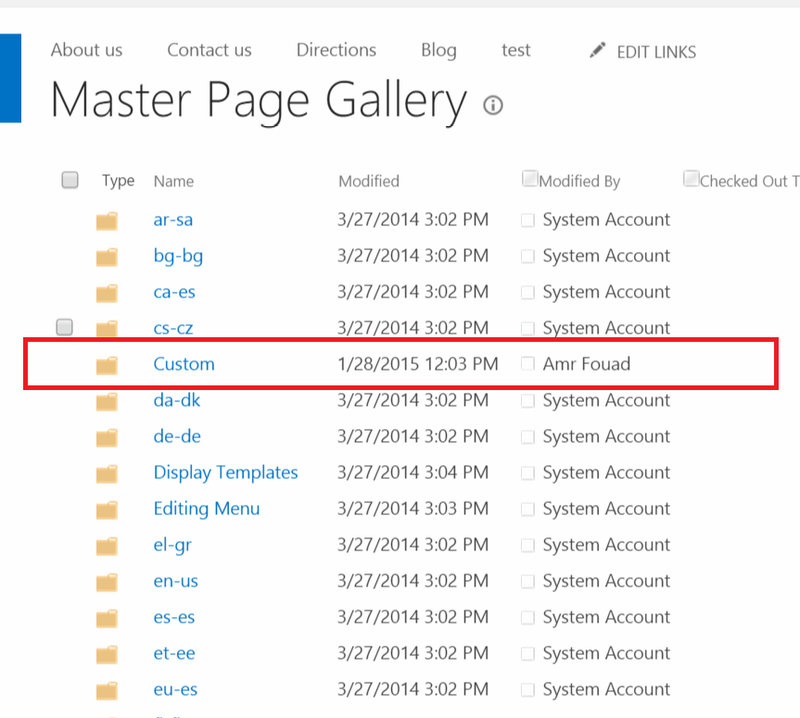 Once you add the app to your SharePoint site it will copy some files (Master pages and page layouts) to the Master Page Gallery under a folder named Custom. Note: Make sure that you don’t have a folder with the same name otherwise all the files with similar names within the custom folder will be overwritten. In addition to that the app will upload a new PublishingImageRenditions.xml file to the root folder of the Master Page Gallery. 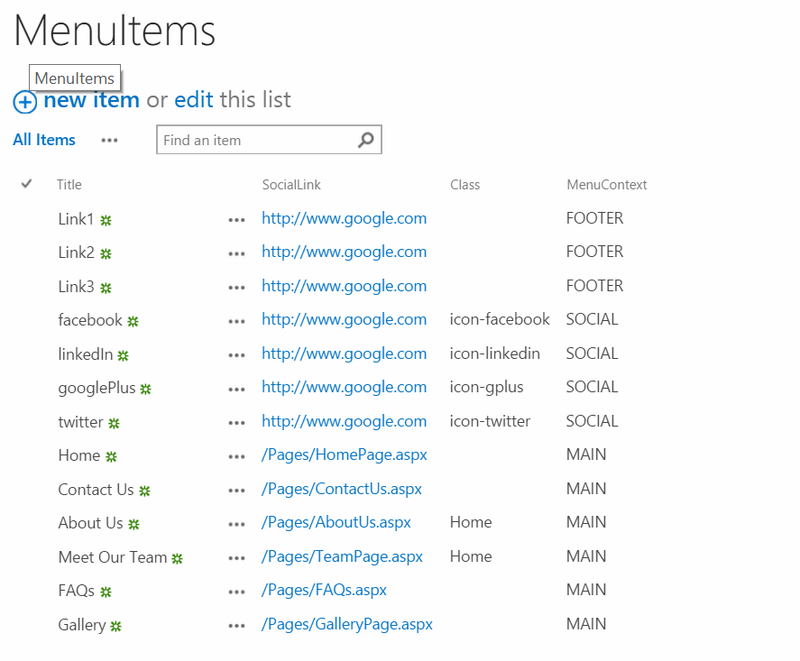 The app will not only copy custom files to master page library but also will create some custom lists and pages in your SharePoint site. In your website create new document library and name it QueryPropertiesTemplate, upload this xml file to it. 2. Make sure that your page library have the required checkout before editing. 3. Add the app to your site using. 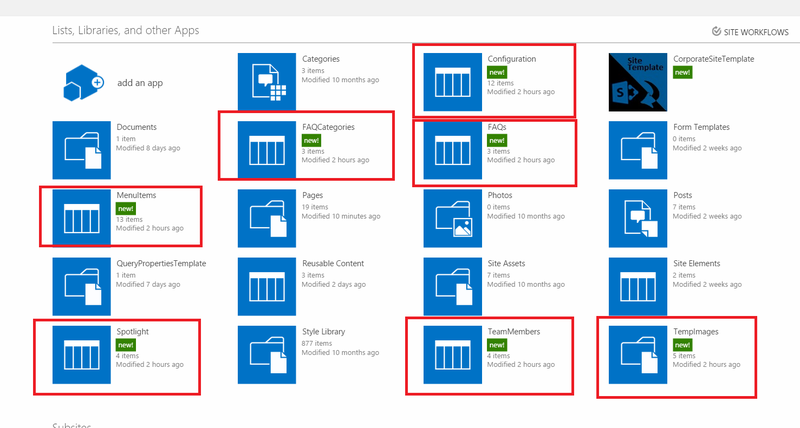 Add the app to your site and wait for the app to be successfully added and all the related SharePoint artifacts are created. What are the App components? Simple content page contains Image on left, when the app is created this page is just a blank page after you add PageContent and PageImage it will look like the below snapshot. Page list the current organization team member contact cards, it reads the information from the team member custom list which will be explained later in this document. Display page content as HTML and below it a location map read from the office location item in the configuration list. Image Gallery list all the images from a library, user can change the source image library by changing a configuration Item in the Configuration list. 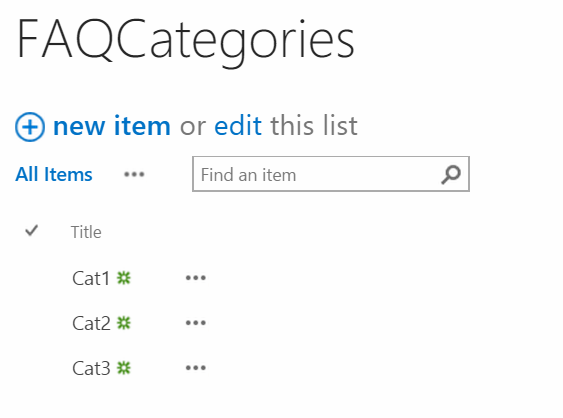 Store the value of the navigation term set, Leave it blank in case of public facing website as Managed metadata navigation is not supported in Office365 Public Facing site. Points to the image rendition created by the app which is used in the home page article rollup component which is below the main home page spotlight. Points to the image rendition created by the app which is used in home page spotlight. Change this to your organization contact number. Your office coordinate which is been displayed in Contact Us page. Points to the image rendition created by the app which is used in Team Member page. Points to the image rendition created by the app which is used in Gallery page. Default Image in case the content image is not added. Currently points to a temp image uploaded by the app. 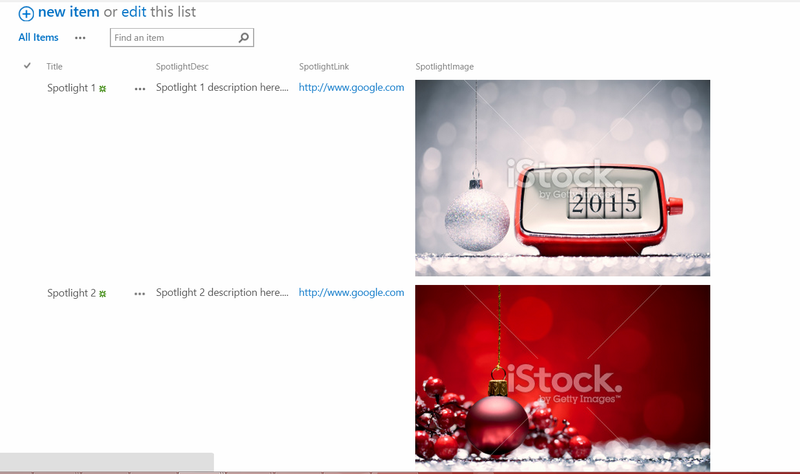 Image Library contains the images displayed in the Gallery Page. Class for Social links and Parent in Main Menu. 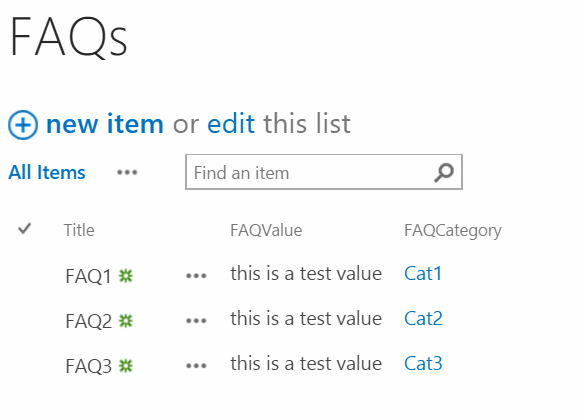 Please note that if you are using managed navigation (not deploying to Office365 public facing site) the menu items with MAIN context are useless until you make sure that the configuration Item MainMenuTermSetId has empty configuration value. Spotlight item description in plain text format. URL for the spotlight Image. Image for the team member. Description for the team member role in plain text.